UST Heritage Campfire Kit - Classic Fire Starting Necessities, Burlap Carrying Bag, Step-By-Step Instructions | BUDK.com - Knives & Swords At The Lowest Prices! 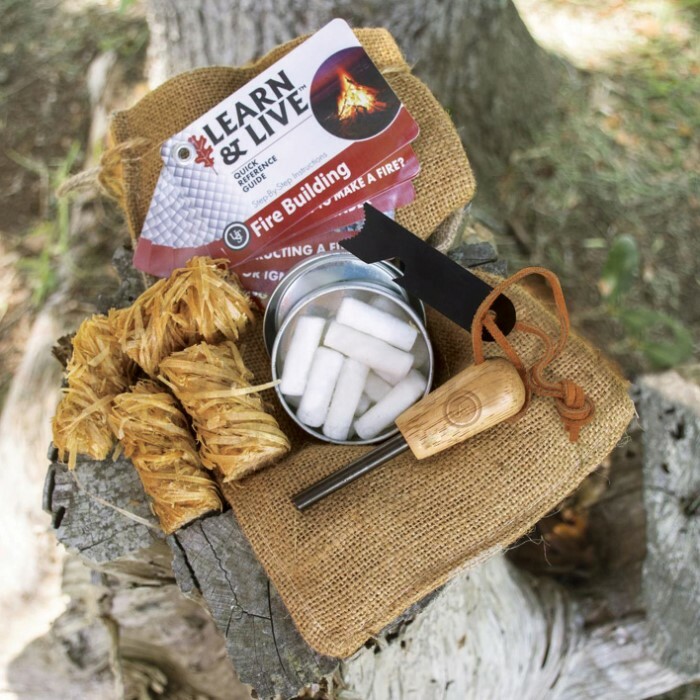 The Heritage Campfire Kit features a collection of classic fire starting necessities including tinder, kindling, a wood-handled fire starter and an instructional fire starting card set, all in a rustic burlap carrying bag. 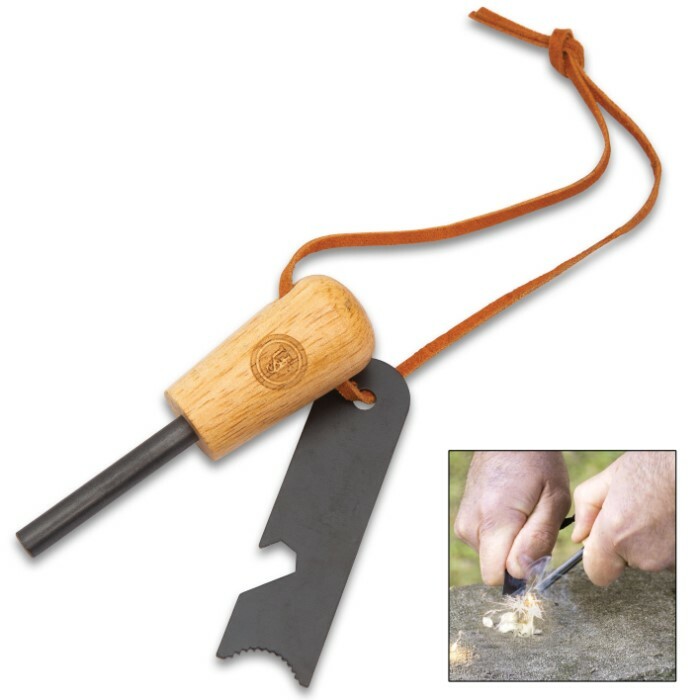 It includes the Heritage SparkLite, a lightweight fire starter that produces sparks in even the worst conditions. 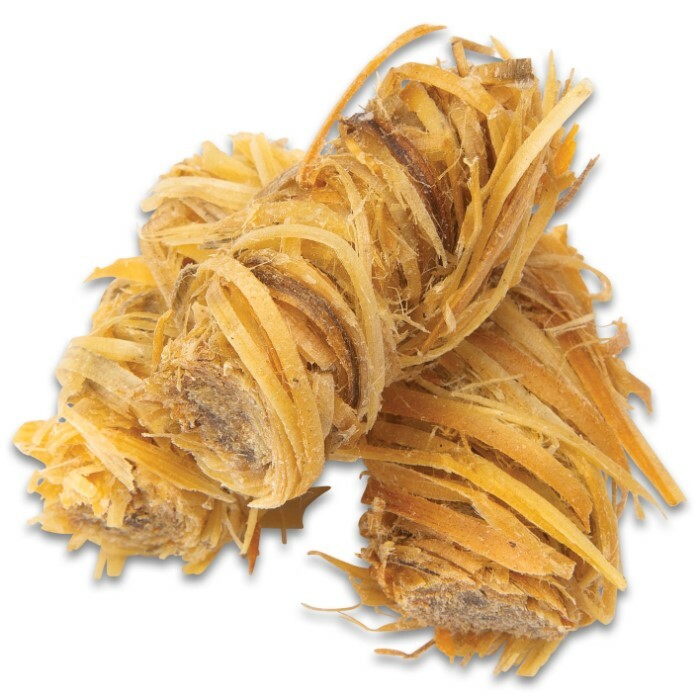 Also included are nine natural bailed fire starting kindling logs in a resealable plastic bag and 12 pieces of Heritage Light-Me Tinder, which are small, fibrous fire starting tinder housed in a compact tin. 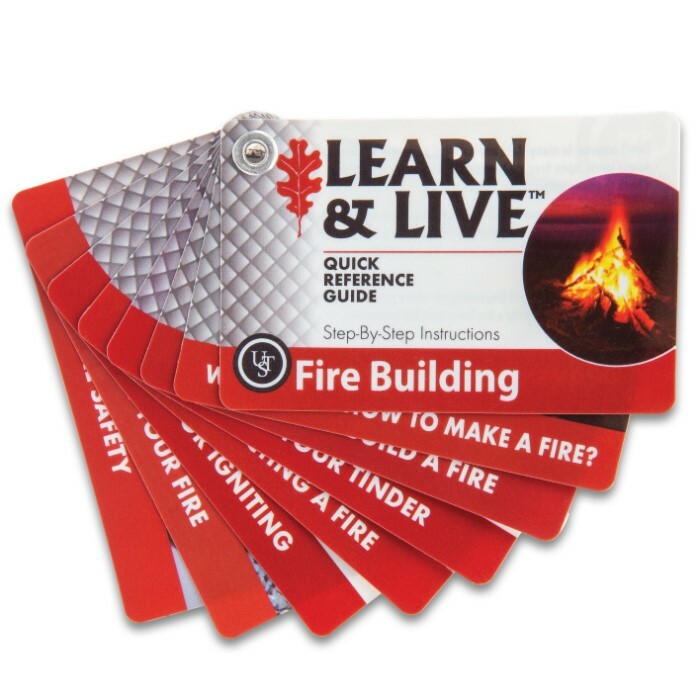 The Learn & Live Fire Building Cards give you step-by-step instructions on how to successfully build a fire. 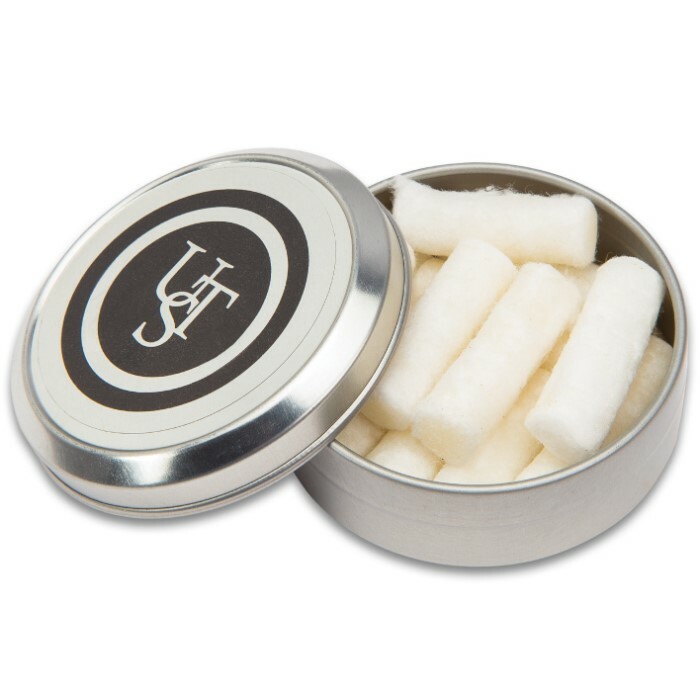 I have 4 great nieces & nephews, three nieces & one nephew. 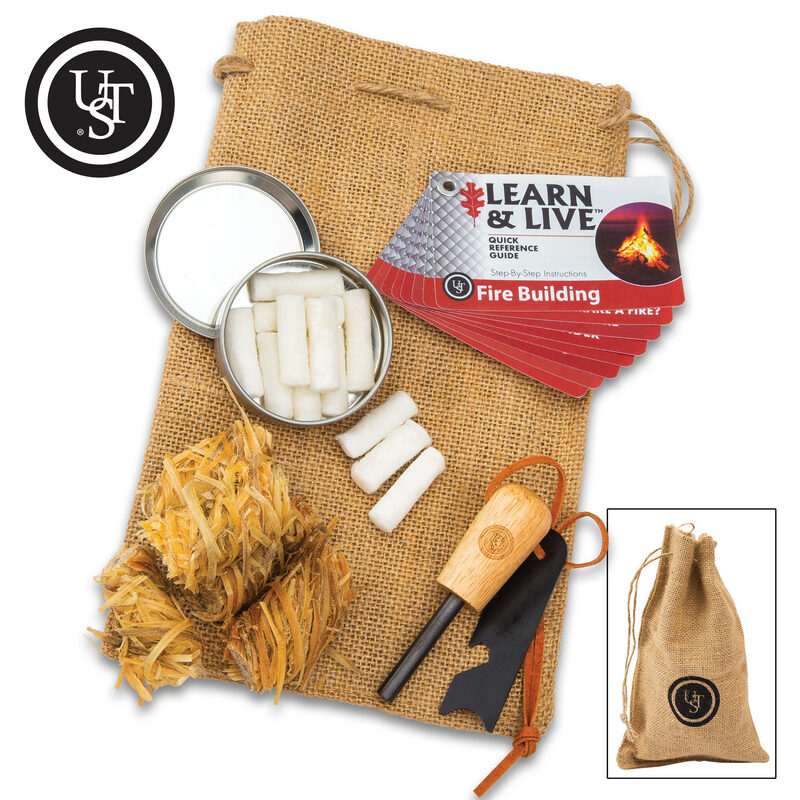 All of the kids are getting into camping with their folks now so I thought the UST Heritage Camp Fire Kits would be a hit with the kids and they are.